Automotive technology is rapidly changing, and who hasn't looked around at the cars on the streets and wondered: what will they think of next? What will they think of next? : Photo by Accretion Disc, flickr. Click to see Creative Common license. 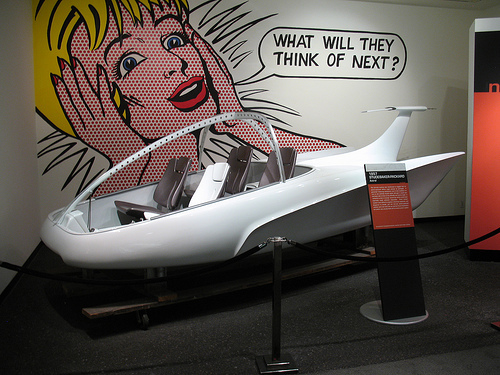 Of course, the wish is that the next generation of cars will be fuel-efficient, low emissions, and fun to drive. Here are a few environmentally-friendly cars of the near future that just might fit those parameters. Peugeot plans to put these air-powered hybrids into production by 2016. Elio plans to launch the car later this year. The XTRUX has not one, but two, electric motors that can go 40 miles on their own, plus a V8 engine as a range extender. There are no immediate plans to put the XTRUX into production, but here's hoping that this monster is on the road soon! The future isn't now, but it's coming soon, and with these environmentally-friendly concept cars on the horizon, it's full of promise. "Geotagged Tweets" Coming To A City Near You!